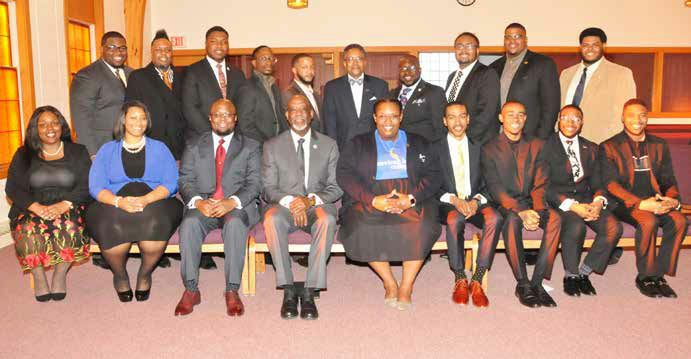 On Sunday, March 11, 2018, Zion Hill Missionary Baptist Church hosted a rally worship services in celebration of American Baptist College Day at their church, 1825 West Hampton Ave. Since 1924, American Baptist College has been a college dedicated to educating and developing Christians for worldwide leadership and service. The idea of a seminary for the training of Black Baptist ministers grew out of conversation between National Baptist leaders and Dr. O.L. Hailey, one of the founding fathers of the college. The service included many local alumni including Rev. Dr. Mary J. Jiles (’84); Bishop Lawrence L. Kirby (’76); Rev. Don Darius Butler (’05); Dr. Forrest E. Harris, Sr. (’79) ; and Rev. Steven R. McVicker (’89). The host pastor for the event was Rev. Dr. Russell B. Williamson.